Learning German with multimedia support: This opportunity to gain knowledge in foreign languages with computers is more and more attractive due to the increasing number of courses and - even more importantly - to better programs. Of course you can use this study material for pure self-learning, for blended learning (tutor-supported self-study) or in your German lessons with your private teacher. Get the best programming assignment help at Homework-Desk. Affordable price. 100% Plagiarism FREE! We recommend this option of language training for all those who wish - independent from time, location and tutor to undertake a preparation for "live" German contact. 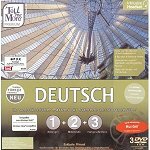 In this way a learning CD-ROM, DVD or online multimedia offers an additional opportunity to make any up-and-coming trip to Germany a successful cultural and linguistic experience. Learning CD-ROM's / DVD's / online multimedia will involve you in dialogues, expand your vocabulary and check your pronunciation. Most of the courses are focused on a learning goal for special situations: You need it as quick preparation for a vacation, you have to go on a business trip to Germany or you have to do a company presentation in German. Somebody who would like to have an effective language course in the long term should consider learning regularly over a longer period. This can get quite boring with software-based language courses and more self motivation is needed. Principally the CD-ROM's have a big advantage compared to their language course colleagues such as books, videos or audio: You can react directly to the answers. You will be astonished that your CD-ROM course can get you to speak quite quickly. For the state-of-the-art programs recording your voice is a standard feature. As in a language laboratory you repeat the words or phrases that you hear from a mother-tongue speaker. Afterwards the program repeats both versions during which time it is easy to hear the differences and mistakes. The more entertaining such a course is, the longer you will be happy with it. This is the reason why interactive features have advantages, especially for beginners. For many language students it is helpful when they can hear the German language in the background, for example listening to a German radio program: Is not always so important to understand something word for word. The sound of the language leaves an impression in your mind and helps you to develop a feeling for the German language. This will definitely make a course in Germany more successful. How does the multimedia-based course motivate me to learn? To avoid being boring, the programs should offer a good mixture of dialogues, pictures, exercises and voice recordings. It is also more motivating if the computer gives you praise from time to time. How great is the practical benefit of the course? Can I use what I have learnt? Even the best learning software focused on negotiating your salary will not be worth the investment if you need vocabulary for vacations. Special travel vocabulary and common phrases are needed, e.g. to book a room or make a reservation in a restaurant on the phone. Also the program should not give you only vocabulary but complete phrases as well. Is there a tool included to measure progress at the various stages of the course? Progress checks are important for self assessment. It is best to have an automated analysis at the end of each learning unit. Does it have a user friendly interface? How fast will a user get familiar with a program? Are the help files really helpful? Is it possible to answer all questions quickly and return the program to it's previous position? Also the installation must progress without any difficulties. Does the software suit my system? MAC or PC, WindowXXX? The best software is not useful if it's not running on the user's system. So it's always better to be aware of the system's requirements. Multimedia applications especially need a lot of system resources. To avoid problems and any unnecessary headache, we suggest that you have at least 30% more memory than the manufacturer's recommended minimum. Furthermore look out for good sound and graphics cards. Also if you have a big screen you'll have much more fun and get tired less quickly. To make the search easier for you, we would like to give you a summary of the most important publishing houses and their offers for "German as foreign language", main focus: "German for adults", followingly. Furthermore you find a link for direct order (amazon.com) for the textbooks marked by # at the end of this side. Learning online "German as a foreign language"
Lingudora.com offers a free course for learning German vocabulary online. It is aimed at beginners without prior knowledge of the language. Each unit provides interactive exercises that are fun to do and make it easy to learn the meanings and pronunciations of basic German words. A further beginners course is "PONS Power-Sprachkurs". 16 lessons and 4 repeat units with authentic dialogues, simple explanations and varied exercises. "Tell me more" is the name of the learning software by Aurolog. It offers a comprehensive learning programme for the levels A1-B2 (#4). The Goethe-Institut has the German learning programme www.einblicke.com (#6) for the language level B1. It includes 9 terms of reference - each at one CD-ROM. For the beginners' level A1 and A2 Goethe recommends the programme "Lina und Leo" (#9). TELL ME MORE 8.0 Deutsch is based on a DVD-ROM speech recognition program. 750 hours of lessons (at 3 language levels), 40 different types of exercises and 1200 interactive exercises makes language learning never boring. Interactive dialogues, audio and videos allow total immersion in everyday situations. (#10). A new German course (DaF) from Switzerland => "Im Falle eines Falles": text book, exercise book, key book, CD-ROM and e-learning => www.imfalle.ch. Claritaslux language learning software - This amazing new language software program will allow you to speed learn and speak German with ease. Also available for Spanish, French, Polish, Italian. Further recommendations for software products are explained the www.zum.de/schule/public/karlkirst-software.html of K. Kirst, especially if you are not using the latest PC configurations (Comments in German). LinguaSaver is a Free Languages Screensaver to learn German, but also English, Spanish, French and Italian. Please write to us, if you could recommend further teaching software for learning German. Important notice: The direct order at Amazon.com is recommendable due to the transportation costs outside Europe. If you live in Europe, the order via Amazon.de could be cheaper. In this case go to the this page in German. The article is possibly undeliverable at present. Tell me More Deutsch als Fremdsprache. 5 language levels. As an alternative to offline learning with DVD's, CD's and textbooks, we would like to draw attention to our online training service. It is popular for many people who want to learn seriously and continuously. In addition, we have added a lot of additional informationen on this page. If you would like to search the internet for current offers and new software please make use of a search engine, e.g. Yahoo.de, and the appropiate search terms, like "sprach cd, Sprachlernprogramm Deutsch, Sprach Software Deutsch, Multimedia CD deutsch lernen, learning software, Lernsoftware Deustch, german on CD, deutsch lernen CD".